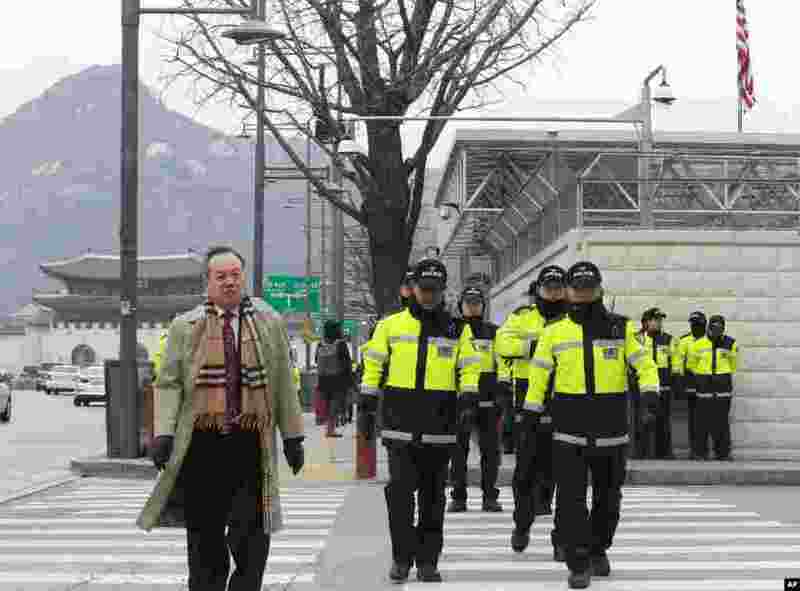 5 South Korean police officers patrol near the U.S. embassy in Seoul, March 5, 2015. 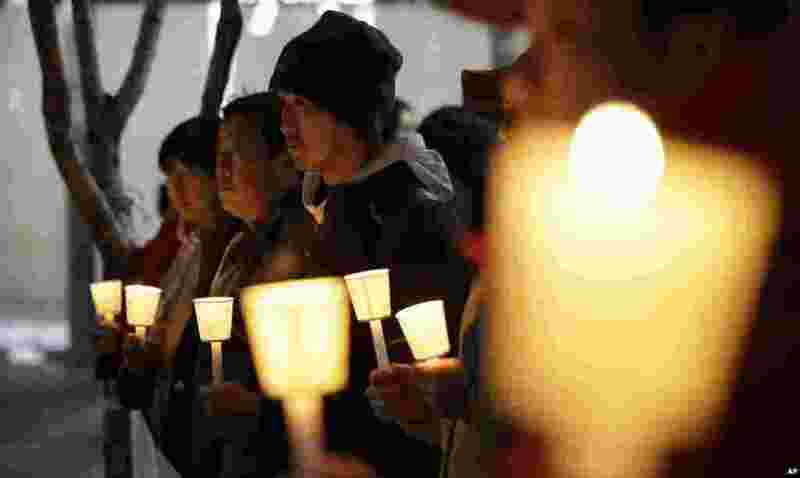 6 South Koreans hold a vigil, praying for a quick recovery of injured U.S. 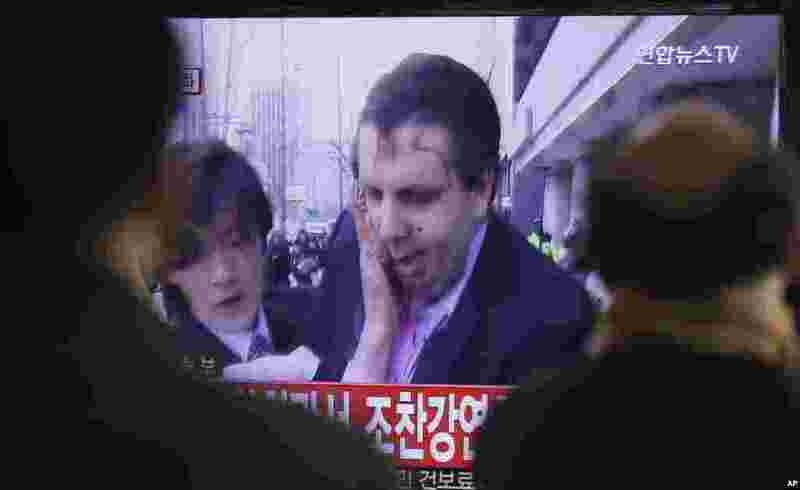 Ambassador Mark Lippert in downtown Seoul, March 5, 2015. 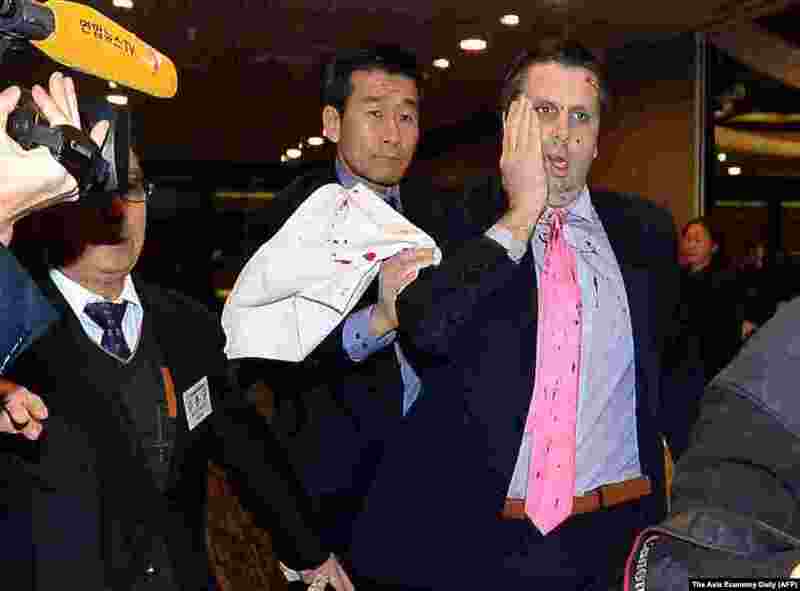 7 South Korean protesters burn North Korean flags and a photo of the suspect accused of slashing U.S. 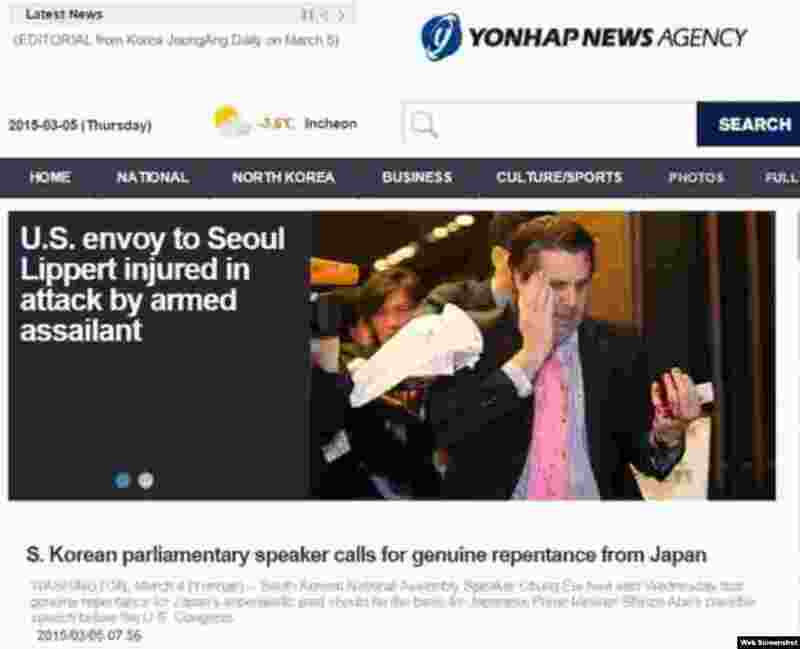 Ambassador Mark Lippert, in Seoul, South Korea, March 5, 2015. 8 U.S. 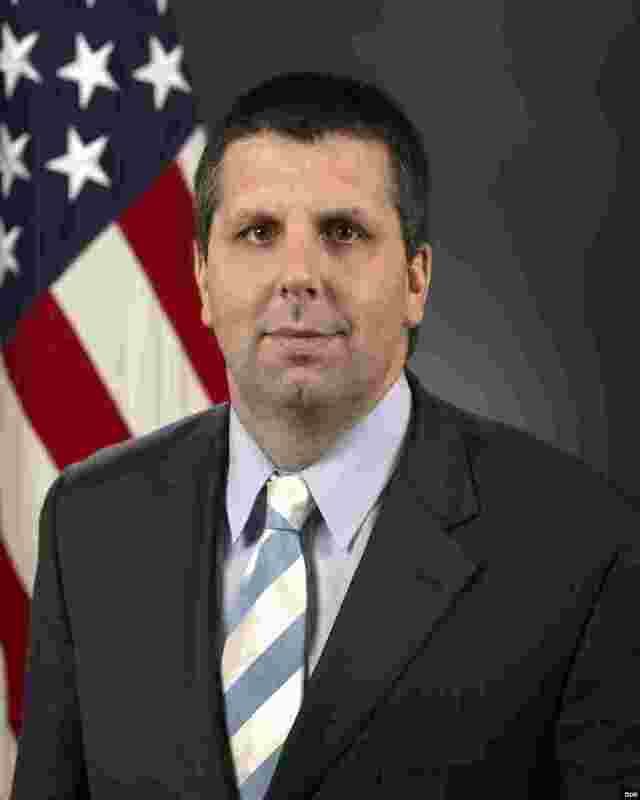 Ambassador to South Korea Mark Lippert.